In Part 1, we shared Said’s findings from the 2014 Canadian Bureau for International Education (CBIE) Conference held in Ottawa from November 19th – 22nd , 2014. 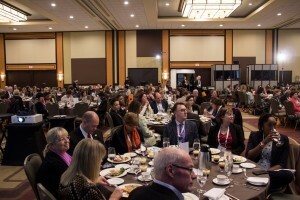 During this time, Canadian institutions came together under the theme of “ Diplomacy of Knowledge” to discuss the strengthening of national and international collaboration between institutions, enhancing of student services, strategic recruitment models and creating workable approaches to educating future global leaders. What is diplomacy of knowledge? The Governor General of Canada, His Excellency the Right Honourable David Johnston, opened the conference’s first plenary session with his personal and professional remarks on diplomacy of knowledge. In his brief address, the Governor General of Canada defined this term as a “a shared knowledge across national and international borders leading to social and economic innovation“. 4. Offer international students some of the same student services as domestic students. For example, bursaries and external scholarships. 1. Establish a survey to collect information from departments in order to identify the number of international student within units and to assess students’ individual needs. 2. Identify departmental “recruitment” need for international students including strategic recruitment in collaboration with Faculty of Graduate Studies. A few final remarks. . . The CBIE conference highlighted many benefits and some challenges of having international student programs. It is conclusive that Canadian institutions need international students to compete in the “global race for research talent”. To remain competitive, Dalhousie’s Faculty of Medicine should take measures to distinguish itself from the growing number of players in international education. Dalhousie must not only continue to provide the current high quality educational experience, but also identify opportunities to conitnue to move toward a reputation as the most supportive educational environment for international students. 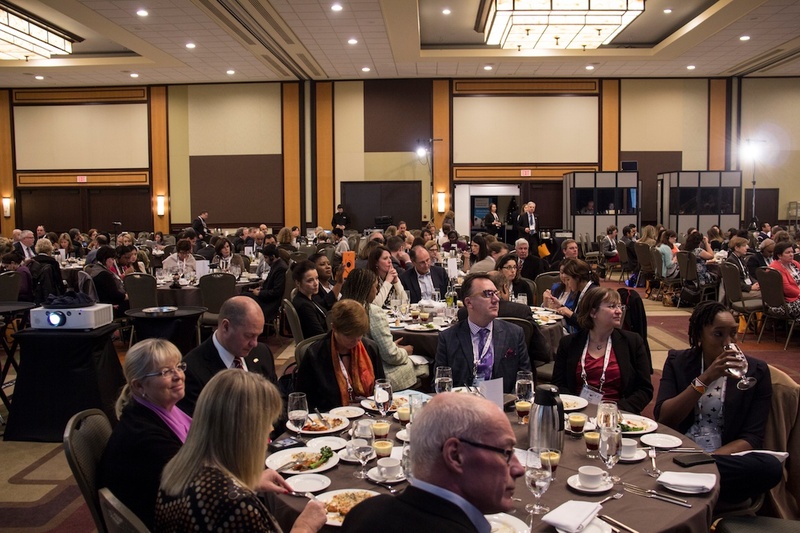 In late November, the Global Health Office’s own Said Msabaha attended the 2014 Canadian Bureau for International Education’s (CBIE) Conference. This year’s theme was “ Diplomacy of Knowledge” and brought over 800 delegates together to discuss on the topics of strengthening national and international collaboration between institutions, enhancing student services, strategic recruitment models and creating workable approaches to educating future global leaders, among others. The conference featured over 60 concurrent sessions from recruitment, admissions, and retention to tracking of alumni post graduation. Several Canadian delegates representing institutions indicated that international students are experiencing difficulty during transition including but not limited to language difficulties, culture related learning differences and academic support issues. I noted some similarities with our experiences with the IMU students in earlier cohorts. Since 2010 our program continues to be more comprehensive and is gradually eliminating transition related issues. Tracking of international students post graduation is also a challenge for most of our institutions. At the Global Health Office we began tracking our IMU students in 2010 using several measures including social media. This has proved helpful as we now know where and what most of our recent graduates are engaged in. These observations demonstrated common concerns and hopes delegates shared in delivering high quality education to international students. Stay tuned for Part 2, where we’ll offer considerations flowing from these observations! For more on this conference please see Part 2 of this series. 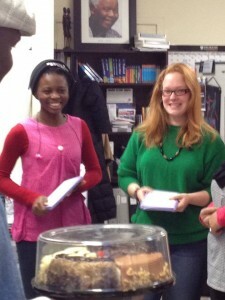 Our Canada World Youth (CWY) interns, Oksana and Priscilla, have been great additions to the Global Health Office team! We are sad to see them go at the end of their 3 month internship here, but were happy to hear that they were ready to meet the next part of their journey with a global health mindset. We introduced our wonderful volunteers to you back in early November, where they shared with us their excitement for the adventures ahead. Both Oksana and Priscilla were new to the city of Halifax. Their three month stay here was part of the CWY program, where students are paired with a counterpart from another country. They spend half of their time in their home country and the other half abroad. Last week, Priscilla shared with you her dreams of promoting health in her home country of Ghana and how volunteering at the Global Health Office was a learning experience towards meeting this goal. Now it’s time to hear from Oksana, our volunteer from Vancouver, and her experiences. Unfortunately the my 3-month stay in Halifax has come to an end! And it is now time for my work partner, Priscilla, and I to leave the Global Health Office. Not too long ago, Priscilla and I came to the Global Health Office with Canada World Youth. Since then, I’ve learnt so much about Halifax’s history. Working with the Global Health Office gave me great insight into health at a global perspective as well as domestic health within marginalized groups. Our wonderful supervisor, Michelle, set up the opportunity for us to sit in on classes about multicultural health promotion. With that class we went on a trip to Indian Brook and listened to a speaker talk about her experiences living on a First Nations reserve and the history of her ancestry. Leading up to AIDS week we learned a lot about AIDS and interesting facts that I had no idea about before. It was really shocking to learn that every 9.5 minutes in the U.S. someone is diagnosed with AIDS. I have thoroughly enjoyed my time on the East Coast. Being from the West Coast, it was a fun opportunity to experience the other side of Canada. I was able to go to Peggy’s Cove and explore all over Halifax. 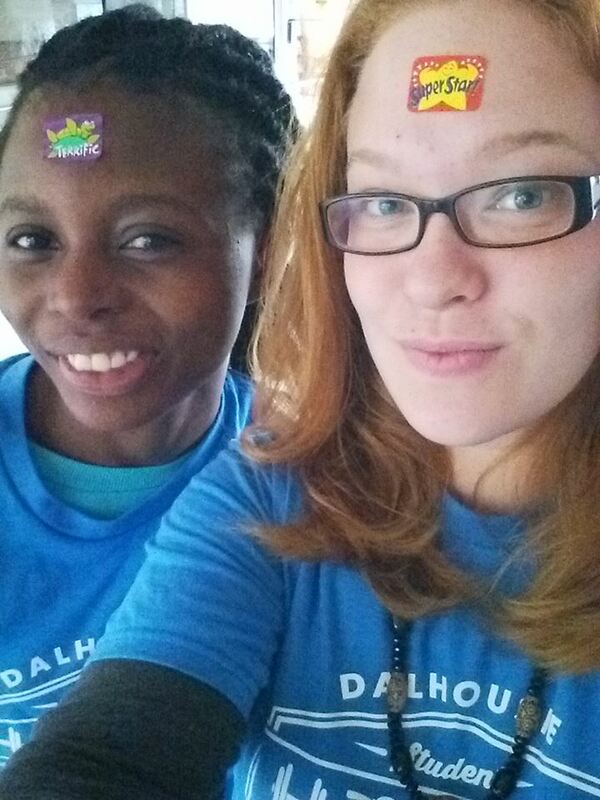 We, at the Global Health Office, also want to extend a thank you for the Halifax and Dalhousie community. The experiences Priscilla and Oksana shared throughout the last three months was made possible by an open and friendly community that was ready to show our interns what Halifax has to offer. It was a pleasure working with our Canada World Youth (CWY) interns, Oksana and Priscilla, over the course of their 3 month stay in Halifax. We introduced our wonderful volunteers to you back in early November, where they shared with us their excitement for the adventures ahead. Both Oksana and Priscilla were new to the city of Halifax. Oksana is from Vancouver, Canada, and Priscilla from is from Tema, Ghana. Volunteering with the Global Health Office has been a step to help me realise what I really want to pursue since I have an interest in health. I hope to learn more about health and possible careers in order to create a platform to educate my home country more about their health and well-being. Finally, my time here in Halifax has come to an end! I began volunteering on the 7th of October and so soon, the three month period is over. I will say a very big thank you to CWY and the Global Health Office. CWY has made an inspiring and life changing program available to youth around the world. I also want to thank the Global Health Office for every bit of knowledge, ideas, and experiences. It doesn’t end for me here. I will continue to promote good health in my country and hopefully come back to learn and gain more skills. The adventures and learning opportunities of our young volunteers are not over. They have the second half of their CWY internship to look forward to! Stayed tuned for Part 2 of this series to hear from Oksana and her experiences at the Global Health Office! 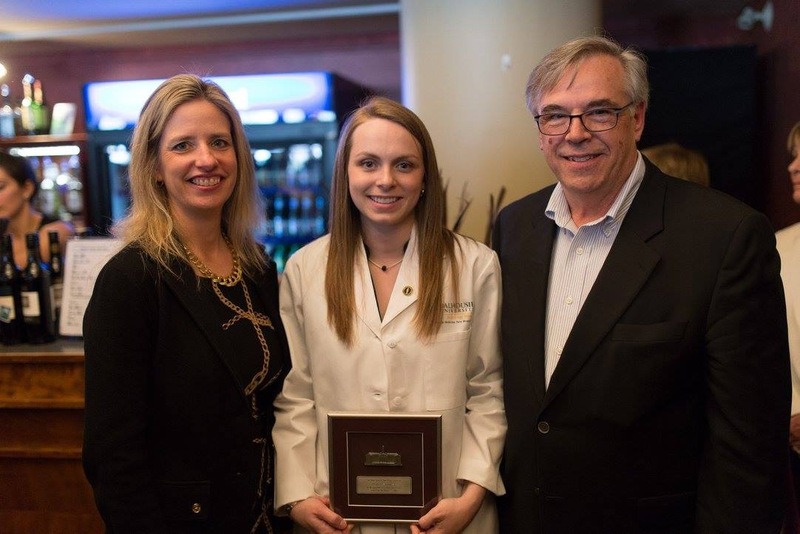 Congratulations to Our 2015 Student Award in Global Health Winner! 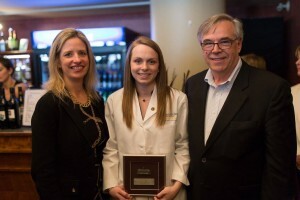 Laura is our first award recipient from Dalhousie Medicine New Brunswick! 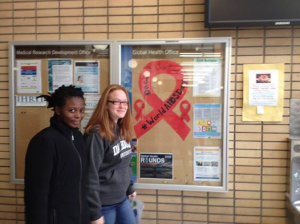 Laura’s interest in global health was evident during her first few weeks at Dalhousie. She held the positions of Global Health Liaison Junior and Senior for the Dalhousie Medicine Global Health Initiative from 2011 to 2013. In this role Laura was responsible for engaging other students in global health issues around campus. Her work involved, but is not limited to, organizing training sessions, arranging guest speakers, fundraising, and community events including AIDS awareness day. Laura is also a graduate of our Advocates in Global Health Certificate program. Laura’s involvement in global health issues extends beyond the classroom and she has been involved in numerous projects with marginalized populations locally. One example of Laura’s ability to lead and motivate is in her work on a database of low cost resources for at risk children and their families in the Saint John area. From this Laura created a “Social Peds Elective” for first and second year medical students to work with community organizations and these families. She has presented this work at local, national and international levels and has encouraged others to create similar programs. After completing her first year of medical school Laura spent a portion of her summer teaching about Community-driven Health Impact Assessment at the Coady Institute in Antigonish, NS. After second year Laura worked here in Halifax with the North End Community Health Centre on health advocacy research project. Laura is a clear leader and mentor in global health and we are very honoured to present this award to her. Laura is a student with tremendous character and integrity. She has been instrumental to advocating for social justice issues in our community and has inspired her fellow classmates to work to give others a better future. I’m certain she will continue to effect change after she graduates.